Campus LifeThe latest lesson and the full student life. The students in Tsukuba can enjoy college life in many different ways, through services provided by the university, and activities organized by fellow students. 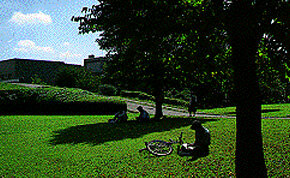 The University of Tsukuba offers men’s and women’s dormitories on both the North and South Campuses, to provide a comfortable study environment. In total, these dormitories house about 4,000 students, with priority given to newly enrolled students. There are private and shared (double) rooms, and all rooms are fully equipped with beds, desks, washstands, and air conditioners. The common building offers a wide range of essential lifestyle facilities, including a cafeteria and public bath for students, a convenience store, barber shop and hairdresser, and a tea room. Fees for use of the dormitory are about 10,000 yen per month for both private and shared rooms, including heat, electricity, and other public utilities. If students rent a typical apartment near the university, it would cost between 30,000 and 50,000 yen per month, but students can still enjoy university life at about half of what it would cost to rent an apartment in a big city like Tokyo. 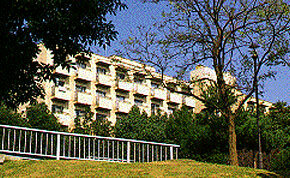 A number of different events are held throughout the year to add color and fun to campus life, including a dormitory festival (Yadokari sai), a sports day, a campus festival (Soho sai), and the "Bug Festival", which is unique to the College of Information Science. 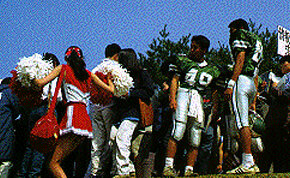 Clubs, or "circles", play a central role in these extracurricular activities. There are currently more than 200 organizations at the University of Tsukuba, with activities covering fields including culture, athletics, and the arts.